On the day the markets imploded last week, dinner was planned with two people from the financial industry. Watching the Dow trip up and plummet down, it was hard not to wonder what would become of New York chic - would fall's bags all be burlap? - and gastronomy. Going to the latest, hottest place for dinner seems so cool in an up market, but in a down one, it can feel like fiddling while Rome burns. 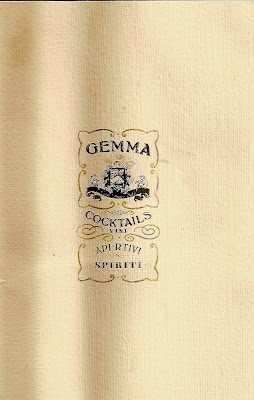 So it came as somewhat of a surprise to discover that Gemma, the latest, hottest place by Sean MacPherson and Eric Goode of Hotel Gansevoort fame, is actually down-to-earth. The prices were shocking - and not in a Kobe/Gilt kind of way. Pizzas: $12-16! Pastas: $15-16! What a relief to eat cheap after a day of losing billions. Cocktails were somewhat pricier at $10-12 a pop, but the bartender was kind enough to mix another traditional Italian cocktail when the first variety was not a hit - after carding me, that is. (Eri tu, CB3?) 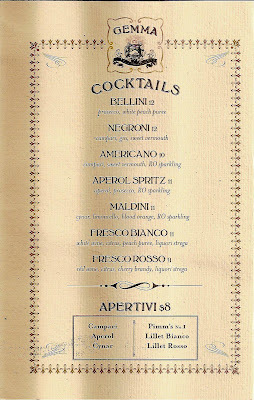 Try the Maldini for the perfect bittersweet 2007 summer libation. 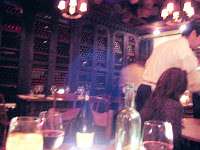 Yet the Taavo Somer's bewitching decor did not match the menu, because it looked as if no expense had been spared on the surroundings, which have been under construction for eons. The hearth-shaped arches and antiqued mirrors - not to mention the Italian theme - brought to mind obvious comparisons to Morandi, but while that design came off to this reviewer and others as fakery, Gemma's has an amount of hand-crafted detail that seems veramente Italian. 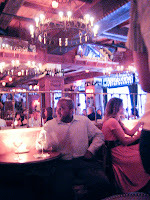 Above the wrought-iron chandeliers, dozens of white pillar candles twinkle in the dimness of the rafters, and wrought-iron gates open into an intimate side room lined with an entire wall of shelved wine. Even the ornate detailing of the scrolly logo seems more a genuine tribute to turn-of-the-last-century Italian culture than an imitation of it. If there's one thing Gemma lacks in giddy anticipation it is the fanfare that preceded Morandi's mating of Jody Williams with Keith McNally's market. 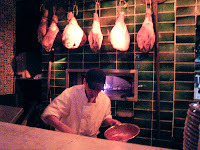 This may turn out to be a blessing for Gemma, however, as diners arrive expecting solid fare by Chris D'Amico, known for his brick oven pizzas at La Bottega, and not mind-blowing culinary wizardry. 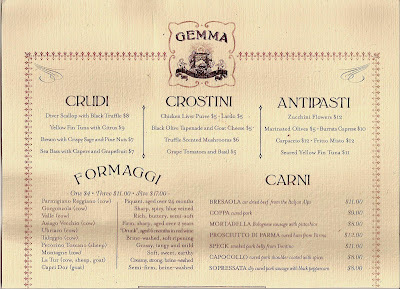 When Gemma's food turns out to be good, it's a pleasant surprise. As at Mercat, the server took one look at High Maintenance and me - both blond and not fat - and wrongly assumed we were anti-carb or otherwise finicky. "That's a lot of crostini," he warned, when we and Hands Honson placed three orders. "Don't worry, we'll eat it," High Maintenance deadpanned. The tomato and basil crostini were made with too-tart grape tomatoes, an odd choice in the midst of the green market bonanza going on now. (At least one market is up.) But the crostini themselves were nicely garlicky and crisp. Olive tapenade crostini with Coach Farm goat cheese could have been longer on tapenade and shorter on goat cheese. There's not a lot of choice on the one-page menu, so there are not a lot of ways for the kitchen to go wrong. 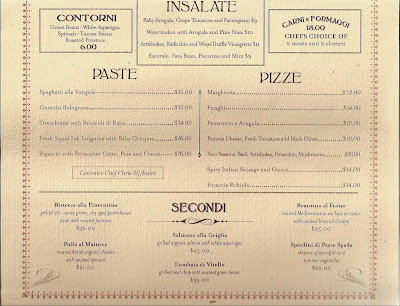 Offerings are fairly standard, like the arugula salad with shaved Parmesan with a light, mustardy dressing. In keeping with the fashion of the times, Gemma has a fancy meat slicer. 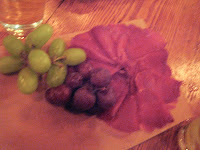 Paper-thin bresaola was extremely good and served simply, fanned out on a wooden board with grapes. Since we already heard from the Strong Buzz review that the oven-roasted branzino was nice, we did not feel obligated to go in that direction and stuck to the comfort of pizzas and pastas. Again the quality of Gemma's cured meats shone through in the rigatoni with prosciutto, cream and peas, served on pretty china. 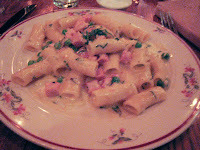 The earthy perfume of the prosciutto permeated the whole dish, as if the rigatoni had been sauteed briefly in the pork fat before the cream and peas were added. It lacked a certain amount of coherence, but this dish was still a buy. 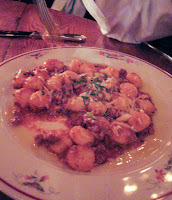 Gnocchi were less inspired, still a little doughy and raw in the middle, perhaps because they were left round and not flattened with a fork before cooking. Turns out that age-old Italian practice is not just for visual aesthetics but for taste. But Hands Honson praised the savory meat "gravy." 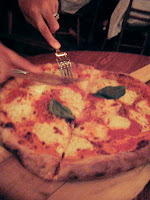 Best of all was the simple margherita pizza, lightly charred on the bottom, topped with tangy tomato sauce interspersed with generous dollops of creamy mozzarella, and garnished with fresh basil leaves. 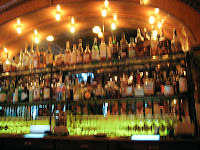 In these new-fangled times, it's nice to come across a place that just takes an old standard and does it well. 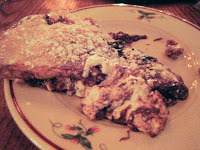 Of course we had to try the nutella calzone. This mammoth piece of pastry, plumped up with an obscene amount of nutella inside (that could have been more thoroughly warmed through), was just as decadent as advertised. 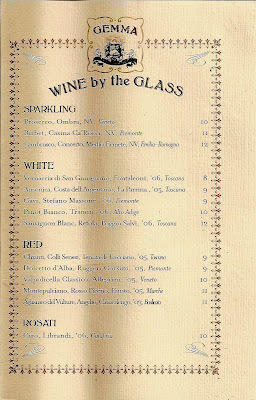 But it also steered the restaurant more towards an over-the-top take that is more Italian-American than veramente Italian. How to get in? Last week (pre-Styles article), the waits were down to 45 minutes or less from the hour and a half of two weeks before. There are no reservations taken. Best to get there after 10ish, when the industry crowd gathers, or before 8 o'clock, while the young Wall Street analysts are still chained to their desks. That's one trend that may be around for a while.